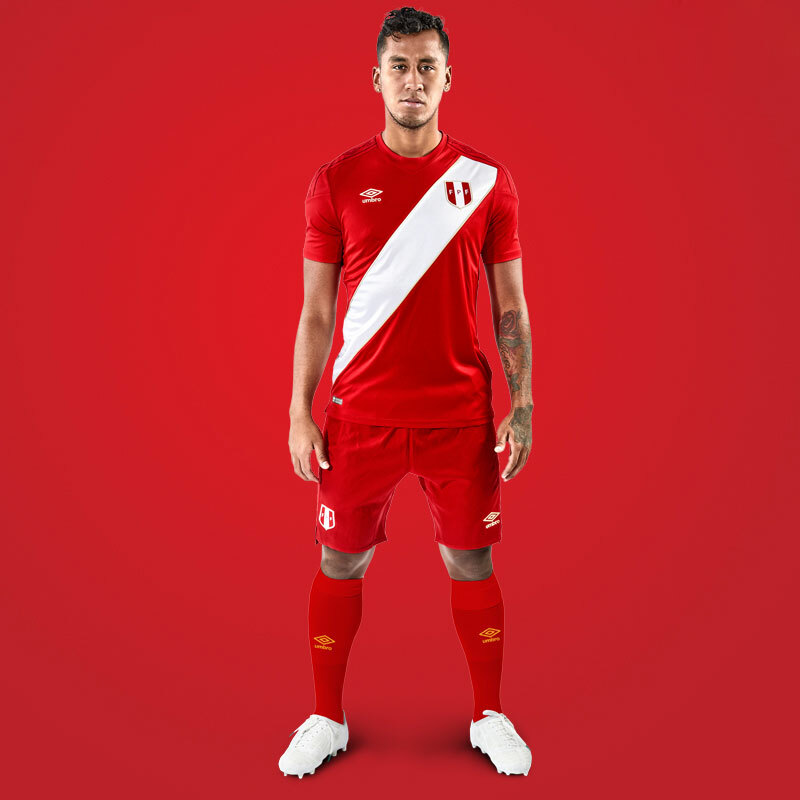 This is the new Peru 2018 Home football shirt by Umbro which will be used during the 2018 World Cup in Russia.The Peruvians will turn out in the usual, and iconic, white shirt with red sash. 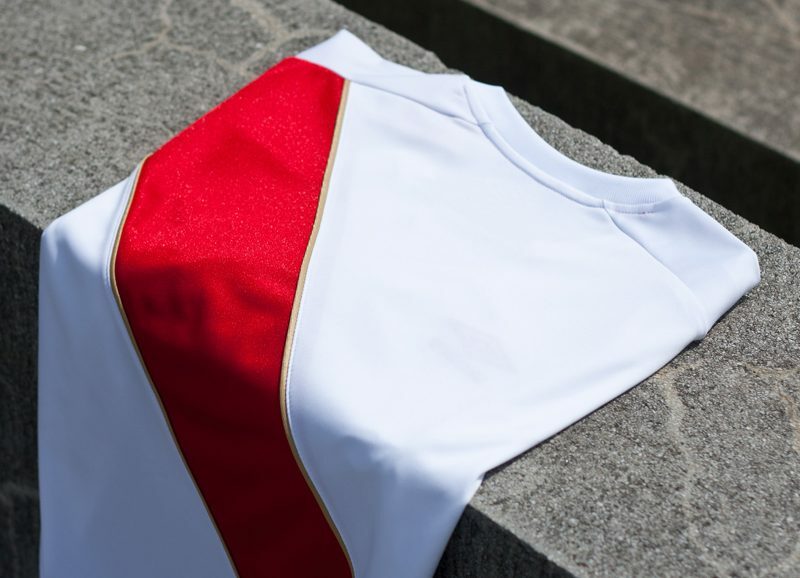 Pure white shirt with bright red ribbon, Peru national team 2018 World Cup Home jerseys uphold the Peru football world renowned classic image. The ribbon is highlighted in reflective fabrics, like the old Satin flag, and the gold trim has enhanced the overall sense of elegance. 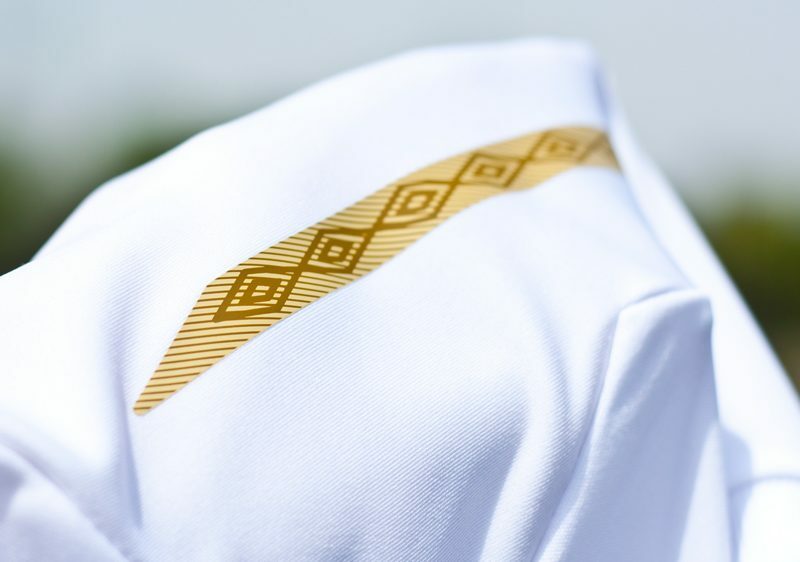 The Peru Football Association and the national team badge in front of the shirt are displayed in the traditional embroidery technology and embedded in red ribbons, showing the weight of history and the supreme glory of the war for the country. 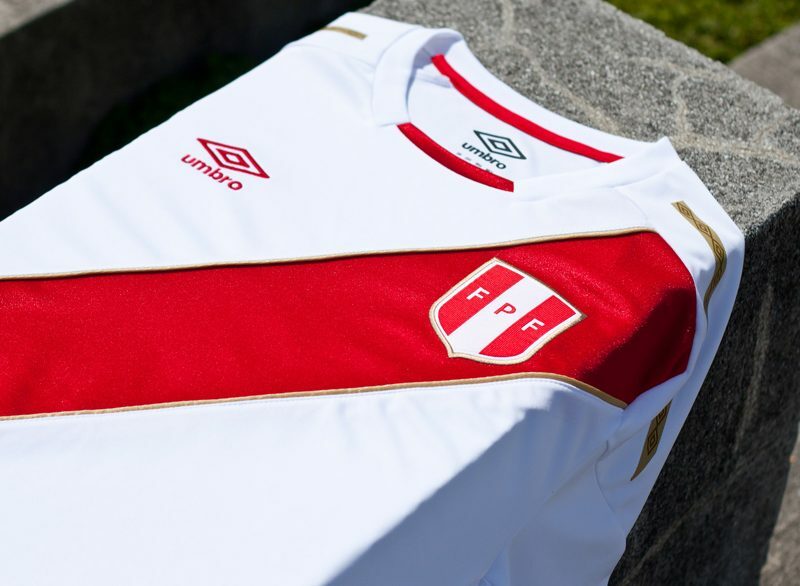 This is the new Peru 2018 Home football shirt by Umbro which will be used during the 2018 World Cup in Russia. The Peruvians will turn out in a red shirt with white sash.